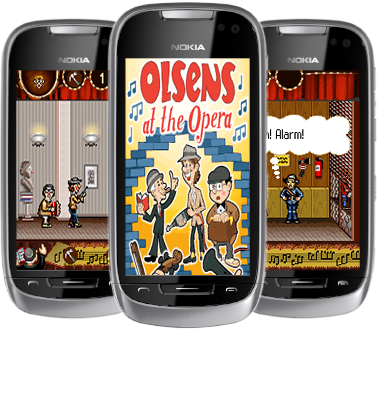 This exciting game is a sequel of 'Olsen Banden' game, based on another story from famous screenplay. Now you should arrange robbery of ancient vase from opera theatre. We hope that this title full of humor and action in combination with exciting terraforming facility will give you a lot of fun. And, of course, as usually you will find beautiful graphics, marvelous soundtrack and unforgettable gaming experience.